Sonoma County Transit buses are running through various destinations of the area, including northern Cleveland, southern Petaluma, eastern Sonoma Valley, and western Russian River Valley. The bus route 62 will take the passengers from the STS airport directly to rather the Windsor town at the north, to the Santa Rosa downtown, to the Santa Rosa Transit Mall, and a Sonoma County Transit hub. The first bus moving to the northern direction is running from 07:10 to the Santa Rosa Transit Mall and the last one is running to the airport at 17:14. The first bus moving to the southern direction is running from 07:40 to the STS airport and the last one is running at 18:16 to the Santa Rosa Transit Mall. For the local trips that do not go outside of the Sonoma County area, the fee per a ticket is $1.50 for adults, $1.25 for youngsters, and $0.75 for senior and disabled passengers. The pass might be accumulated at the Sonoma County Transit mall that is located at 355 W. Robles Ave, Santa Rosa CA. The usual one-way pass is valid for only 3 hours. However, the one may choose to purchase the 31-day pass which is an unlimited-ride pass and is valid for 31 days from the moment of the purchase. The Summer Youth Pass is available for passengers of 18 years old and younger and is valid from June 1 through August 31. The fee for the Summer Youth Pass is only $24 for three months which makes it a good deal. 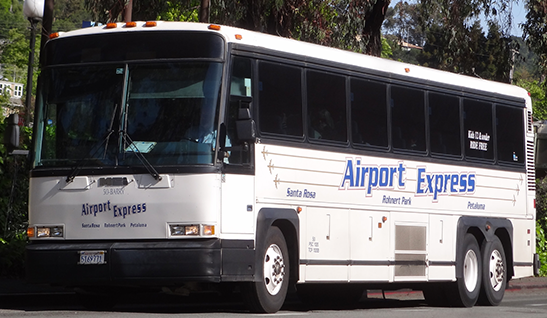 The Airport Express buses may be a good choice as well as they are reliable and convenient for the transportation from the STS airport to any point of the city. The first bus is departing from the airport at 02:45 and the last one at 21:45. The fare per one-way ride to and from Sonoma County is $36 for the adults, $34 for disabled and concessions, and is free of charge for children under 12. The Sonoma-Marin Area Rail Transit or SMART serves Sonoma and Marin counties. There are currently ten stations that are spread through the north to south. Five more stations are planned to be constructed as well. The Sonoma County Airport station has been built on August 25, 2017, may transport the passengers to the Santa Rosa downtown or the San Rafael downtown in Marina county. As the railway station is located in about a mile from the airport, the airport bus shuttles, taxis, and the Lyft rideshare might be an excellent way to get there. The minimum price per a ticket is $3.50 for adults for travel within one zone and $23 for daily maximum ticket fee for all SMART rides. 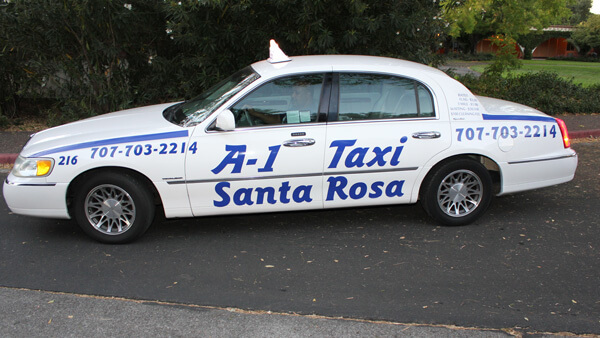 Sonoma County Airport Taxi offers pickups and drop-offs at the airports of Sonoma County, Oakland International Airport, San Francisco International Airport, San Jose International Airport, and Sacramento International Airport. There are special equipment provided for disabled and passengers with the reduced mobility. There are several companies that operate on the territory of the airport and give the taxi and transfer services 24/7, those are #1 taxi, A Fine Taxi, Blue Line Taxi, Rosa Taxi, Alpha Omega Taxi, City Taxi, Satellite Taxi, A Stars Taxi, Asmara Taxi, Jesse's Taxi, Silver Taxi, AB Taxi, Asmarina Taxi, Rocket Taxi, and Wings Taxi. The fee for taxi depends on the distance covered and the rates of the taxi company, therefore, shall be discussed directly with the company providing the service.